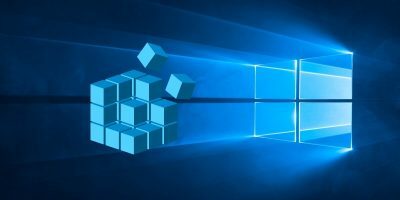 The Customer Experience Improvement Program, or CEIP for short, is used by Windows to collect and send information to Microsoft. 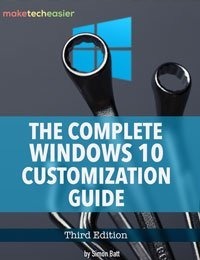 This information includes but is not limited to program crashes, the performance of different components in Windows, system configuration, what programs you are using, how many network connections you have, etc. 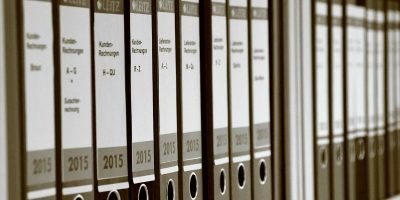 From time to time, CEIP also uploads a small file to Microsoft servers containing the summary of all the information collected. 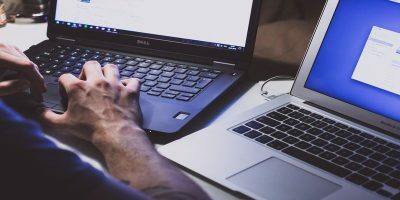 Even though CEIP doesn’t collect or send any personally identifiable information, it is enabled by default. So, if you don’t want to send this information to Microsoft, you can disable it completely. 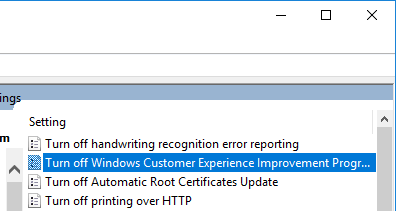 There are four different ways to disable the Customer Experience Improvement Program in Windows 10. Follow the one you are most comfortable with. 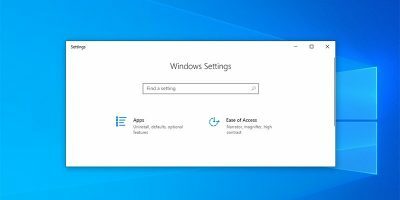 Since Windows provides the necessary options, the easiest way to disable CEIP is to use the Control Panel. Search for “Control Panel” in the Start menu and open it. The CEIP is buried deep in the Control Panel. 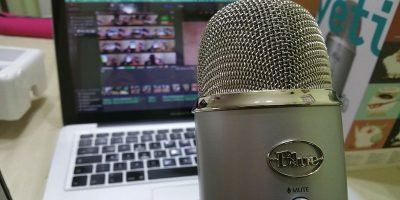 To find it, search for “Customer” using the search bar, and click on the link “Change Customer Experience Improvement Program settings” from the search results. 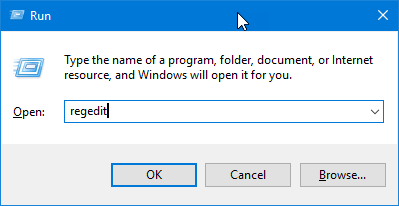 The above action will open the Settings window. Here, select the “No, I don’t want to participate in the program” radio button, and click on the “Save Changes” radio button. Just restart the system to make sure the changes take effect. 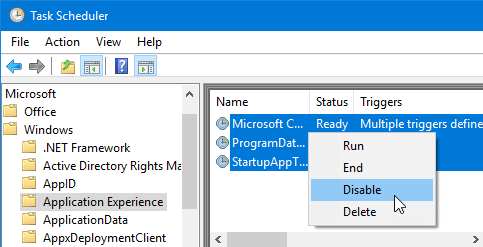 Alternatively, you can simply disable the scheduled CEIP tasks so the program doesn’t run to collect the data. 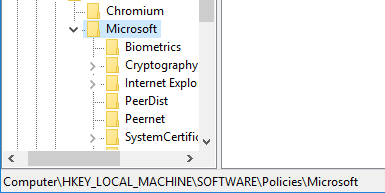 To disable the scheduled tasks, search for “Task Scheduler” in the Start Menu and open it. That’s it. 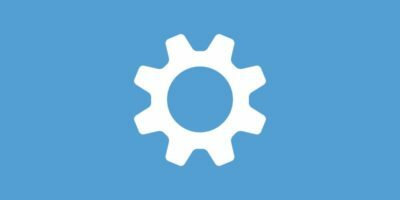 If you ever want to enable CEIP, then simply follow the same procedure and select the option “Enable” from the right-click menu. 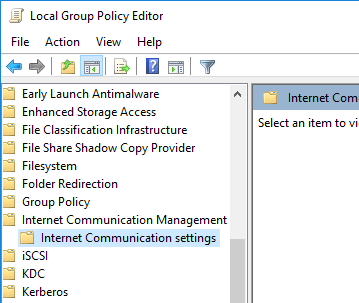 If for some reason you cannot use the Control Panel settings to change CEIP behavior, then you can use the Group Policy Editor to do the same thing. 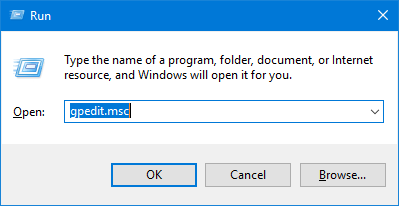 Press “Win + R,” type gpedit.msc and press the Enter button to open the Group Policy Editor. 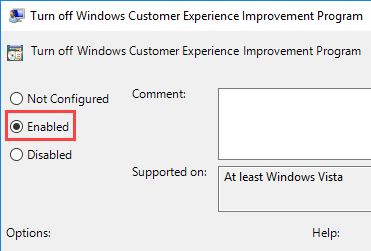 Once you are here, find and double-click on the option “Turn off Windows Customer Experience Improvement Program” appearing on the right panel. The above action will open the policy settings window. Here, select the “Enabled” radio button, and click on the “Ok” button to save the changes. Just restart your system or use the below command as an administrator to make the changes take effect. 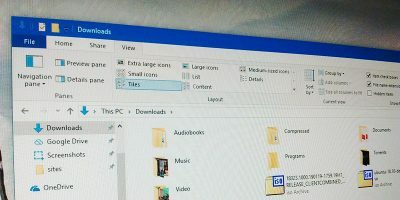 If you are using the Windows Home version, then you won’t have access to the Group Policy Editor. In those situations you can use the Registry Editor. 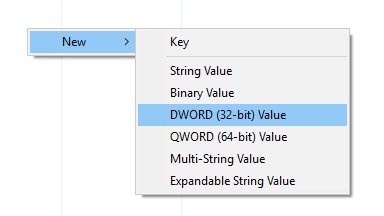 To open the Windows Registry Editor, press “Win + R,” type regedit and press the Enter button. Name the new key as “SQMClient,” and press the Enter button. 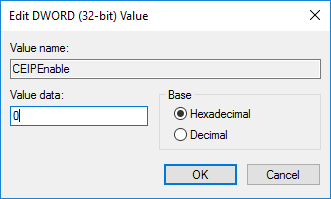 By default, the value has the value data of “0.” However, if you already have the “CEIPEnable” value in your Registry Editor, then you might have to modify the value data. To do that, double-click on the value, enter “0” in the Value Data field and click on the “OK” button to save the changes. 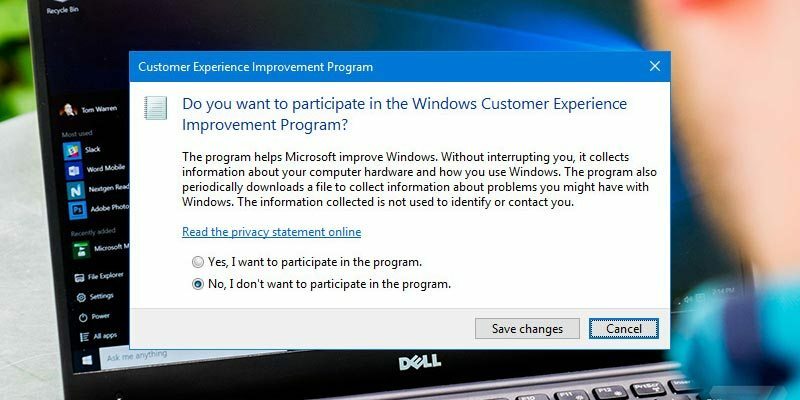 Do comment below sharing your thoughts and experiences about using the above methods to disable the Customer Experience Improvement Program in Windows 10.